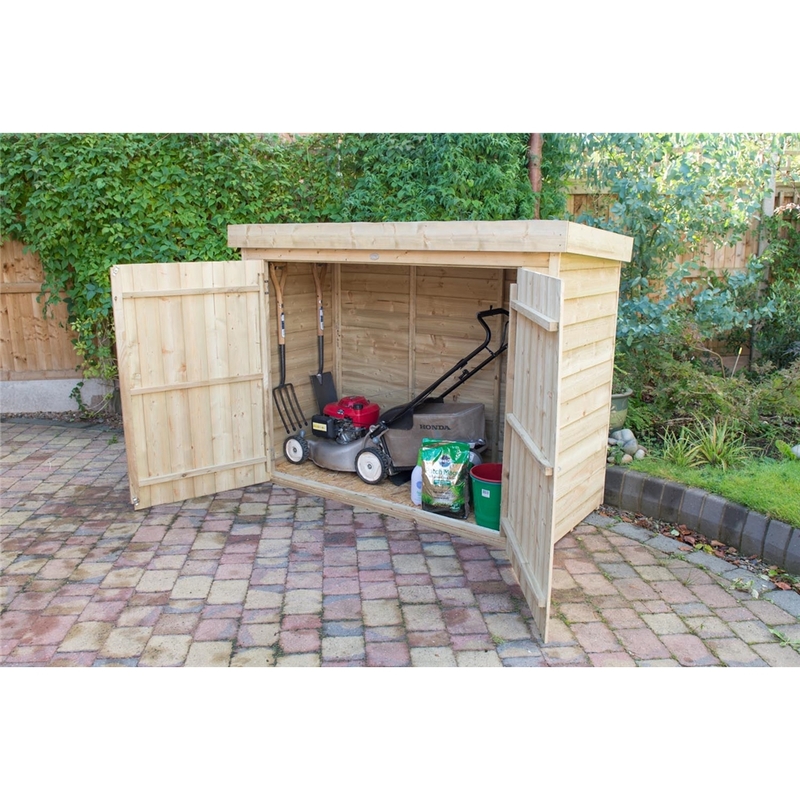 This is large outdoor store provides an attractive lower alternative to a shed, with double doors it is practical for storing your barbecue, larger garden equipment and mowers. This unit has a generous capacity of 2000 litres, which can secured with the addition of a padlock to the plate hasp and staple fastening; along with the hidden hinges for additional security. 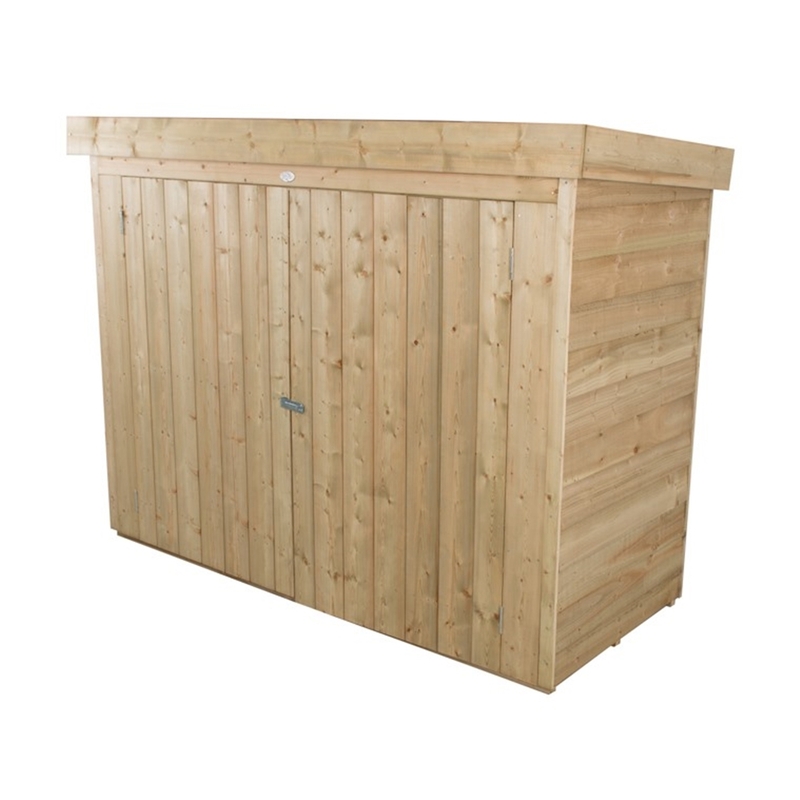 The outdoor garden store is manufactured from traditional pressure treated overlap panels which are further mounted onto pressure treated bearers to prevent damage from standing water. The front of the store is finished with smooth planed barge boards and shiplap tongue and groove panels. 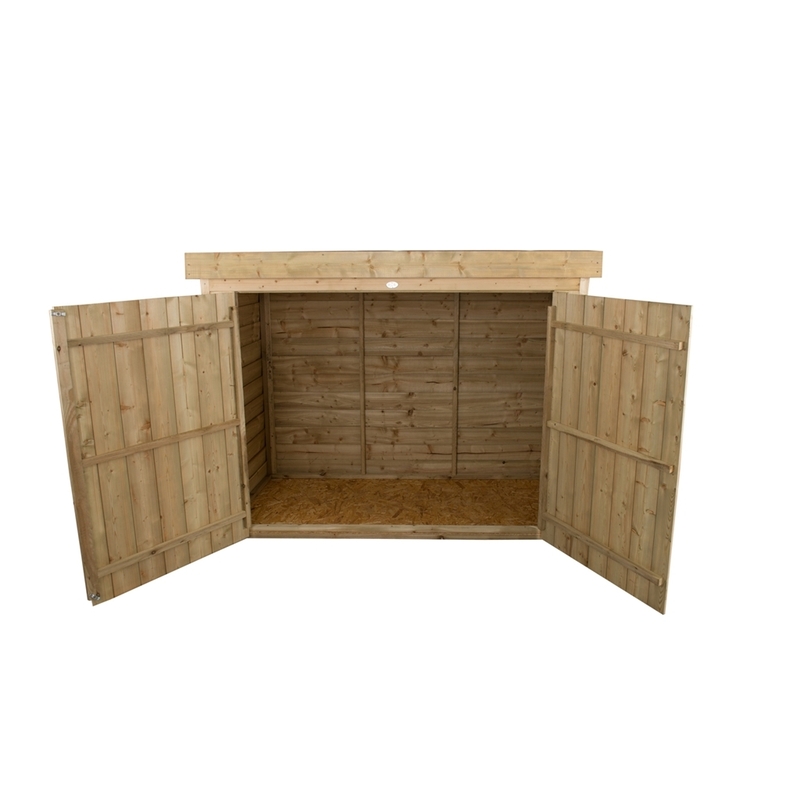 The design allows the pent roof to be assembled sloping back or forward dependent on your preference and the location of the storage unit.